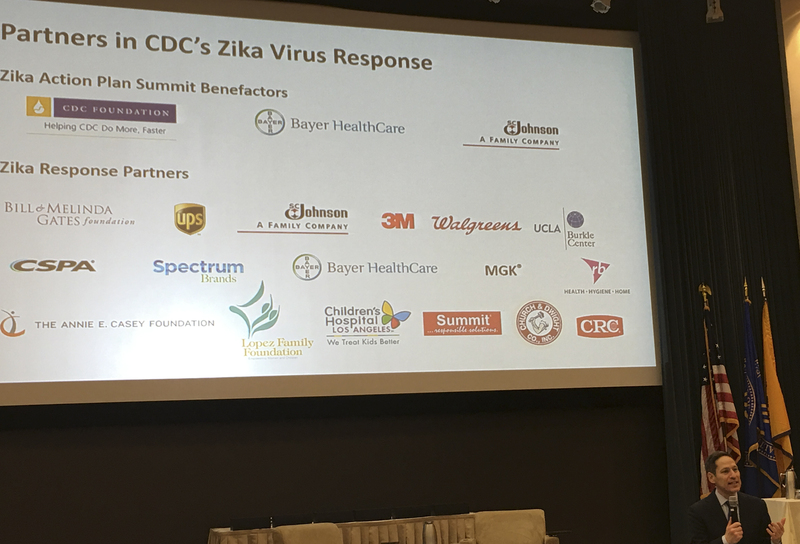 During the Zika Action Plan Summit hosted by the Centers for Disease Control (CDC) in Atlanta, GA, on April 1, officials from the CDC and CDC Foundation acknowledged several private sector organizations for donating and providing logistical aid to the Zika relief effort. At a town hall session on solutions through public-private sector collaborations, Tom Frieden, MD, MPH, Director, CDC, acknowledged several organizations, including the Consumer Specialty Products Association (CSPA) for its help in facilitating donations from consumer products companies for “Zika Prevention Kits,” that are being distributed to pregnant women in the U.S. territories of Puerto Rico, the U.S. Virgin Islands and American Samoa. 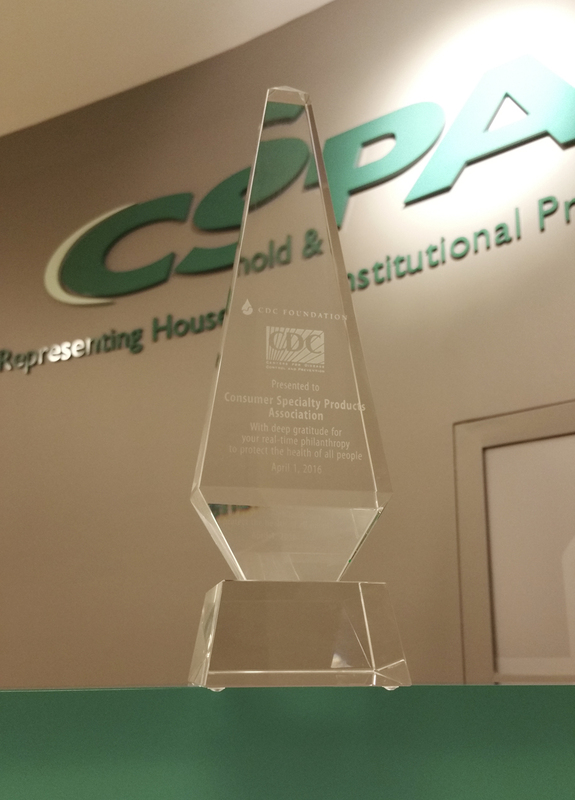 He presented the association with an engraved award from the CDC Foundation. Consumer companies that donated to the effort and were also recognized by the CDC Director included: 3M, Church & Dwight, CRC Industries, RB, SC Johnson, Summit Chemical Company, and United Industries Corporation (Spectrum Brands). The goal of the Zika Action Plan Summit was to accelerate the nation’s preparedness and ability to respond to the Zika Virus outbreak, which the CDC has designated a “public health emergency.” Representatives attended from the White House and state and local governments. According to the CDC and the Environmental Protection Agency (EPA), one of the best ways to protect against contracting the Zika virus is to use EPA-registered mosquito repellents that contain the active ingredient DEET (chemical name N,N-diethyl-meta-toluamide) to ward off potentially-infected Aedes mosquitoes. The DEET Task Force, which is managed by the Research & Regulatory Management Council, an affiliated program of CSPA, has published information regarding the proper use of DEET products on its website, DEETonline.org.